The Barn at Spring Brook Farm will still be allowed to be used for educational sessions for disabled children, but with conditions, after neighboring properties expressed concerns about the use in a residential neighborhood in Pocopson. POCOPSON — Township officials had just two choices in the matter of Mary Beth Drobish and The Barn at Spring Brook Farm’s application for conditional use of the property, Township Solicitor Ross Unruh told those in attendance at a special Board of Supervisor’s Meeting held for a Conditional Use Hearing last week. The first, Unruh said, was to turn down the application – the second was to grant the conditional use agreement with conditions. He said township supervisors chose the second – permitting the applicants’ an educational use, with 33 conditions. Unruh said some of the constraints require Drobish and The Barn to make changes to their physical use of the property to meet neighboring homeowners’ requests, while others place constraints on the non-profit organization’s scope of operations. 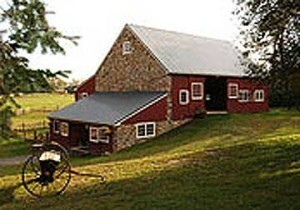 The Barn at Spring Brook Farm, according to the organization’s website, is a handicapped-accessible Chester County bank barn nestled on Drobish’s 17-acre property along Locust Grove Road. The non-profit organization serves many children with disabilities, the site states, by offering opportunities to participate in animal-assisted activities including one on one individualized programs, school field trips and summer day camps. Drobish and neighbor Beverly Bruns, along with their respective attorneys, appeared at the township Board of Supervisors’ meeting last January. Minutes from that meeting say Drobish’s counsel proposed amending the township code in order to allow a use by right for activities at The Barn. According to the minutes, the proposal did not include what Bruns described as “atypical activity” on the property such as parking requirements for the volume of cars, possible screening provisions and the level of activity on the property for non-profit programs and fundraising. Board members asked both parties to begin communicating in order to identify and agree upon a reasonable number of events and activities that could be held on the property and to define standards to protect adjacent properties.